What’s the deal with Castile? Buyer beware! These days it seems like you can’t turn around without tripping over someone claiming to sell “pure Castile soap”. What exactly is Castile soap, and why is it such a big deal? 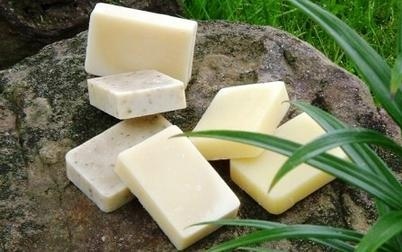 The origins of Castile soap can be traced back to the Eastern Mediterranean regions, where soapmakers produced a bar of soap known as Aleppo soap from olive oil, lye, and laurel oil. Although it cannot be proven, it is commonly believed that the Crusaders brought Aleppo soap back to Europe with them in the 11th century, where manufacturing of the soap spread throughout the Mediterranean. Since laurel oil was difficult to come by, it was dropped from the recipe, and the soap made from 100% olive oil and lye became known as Castile soap in Spain, and Marseille soap in France. Historically, the use of the names Castile and Marseille soap were restricted to those soaps manufactured in and around those areas, using olive oil produced in the region. These laws have since been changed, allowing Castile and Marseille soap to be made from oils other than olive, and apparently, unbeknownst to me, the term ‘100% Castile soap’ is now used by many people to identify a soap made entirely from vegetable oils, containing no animal fats or synthetic surfactants. Who knew? This is where the confusion happens. Authentic Castile soap made from olive oil is revered for its extreme gentleness, and is recommended for use on children and anyone with sensitive skin. Most consumers who are aware of Castile soap believe that it is a 100% olive oil soap, and that is what they want to buy. However, finding that elusive 100% olive oil soap can be as difficult as finding the proverbial needle in the haystack. One of the best sellers is Dr. Bronners 18-in-1 Hemp Peppermint Pure Castile Soap – Not sure what the deal is with the 18-in-1, but this product claims to be Pure Castile Soap. 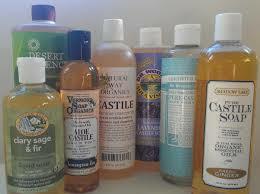 How many people actually stop to read the ingredients when faced with a label that says ‘Pure Castile Soap’? Dr. Bronner’s seems like a perfectly nice soap, although potentially a bit drying with coconut oil being the first on the list, and an ecologically sound choice, but not what many people are looking for when they set out to purchase Castile Soap. So, as I keep stressing (are you sick of hearing it yet?) read the labels and ask questions. Personally, I’m going to be changing our labels from ‘100% Pure Castile Soap’ to ‘Authentic Castile Soap – Made with 100% Olive Oil. As the owner and head soapmaker at BumbleBee Lane SoapWorks, I spend an inordinate amount of time on websites, forums and blogs seeking knowledge and inspiration. Certain common themes are emerging, and I will be exploring these in the days and weeks ahead. Come back tomorrow for my first post in the series on “What is natural?